Transgender Christians are searching for the same things other believers want: a connection to God in a loving community gathered in the spirit of Jesus Christ. But transgender seekers are often without a place to call their “church home” because most congregations aren’t ready to welcome them as companions in faith. Open and Affirming congregations can be that home for their transgender family and neighbors if they take the time to listen to their stories and understand the transgender experience. If your congregation is already a safe place for your transgender members, this might be the time to move from welcome to advocacy. Transgender citizens and residents in this country still face legal obstacles in their quest to live with the same freedoms and opportunities most of us take for granted. There may be opportunities in your community and state to advocate for laws that fully protect the basic rights of transgender residents, and to learn from the wider transgender community other ways your congregation can help. 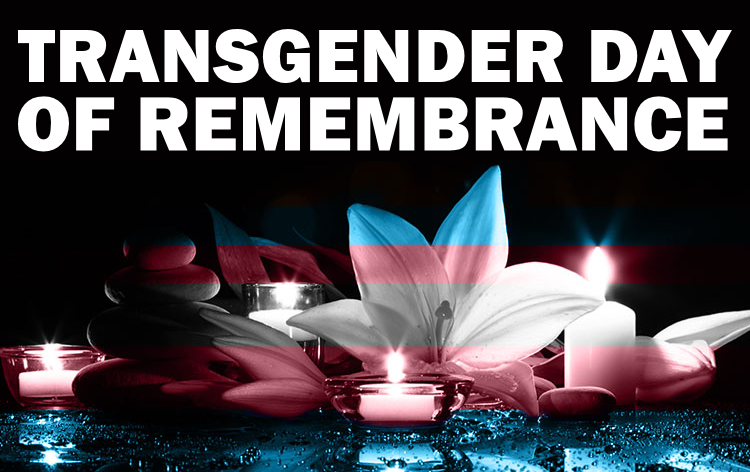 Transgender Day of Remembrance (TDOR) on Nov. 20 is an opportunity for your ONA congregation to honor your trans neighbors—here and abroad—who lost their lives in the past year to violence and suicide. Transgender women of color in American cities are especially vulnerable to assault and murder. Your congregation can send a clear message to your community: yes, there is a church where trans people are wanted, valued, and safe. Organize a special service of remembrance, and make sure it’s publicized widely. Many churches will read out the names of transgender victims while ringing a bell: it’s a powerful way to honor their memory, and to renew our commitment to building a church and a world where all are welcome. Here are resources to help. If your congregation’s ONA covenant does not include an explicit welcome to persons of any “gender identity and expression,” add these or similar words after a period of study, dialogue and discernment, then inform the Coalition of the change. Use the TransAction study guide (free PDF download on this page) for a three-session study for adults in your church. 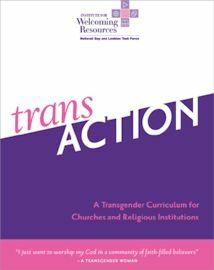 We also recommend the Transgender Inclusion Guide and Trans-Etiquette, which will help your congregation improve its readiness to welcome transgender members. Schedule a screening of “Call Me Malcolm” and other documentaries on transgender themes. Invite a transgender member of your congregation or a transgender leader in your community to lead the discussion. Track news alerts from the National Center for Transgender Equality. If there is no legal protection for transgender residents in your community or state, contact your statewide Equality organization for information on how you can help. Consider adopting a policy for your church on gender-neutral restrooms. We provide links on this page that will help your congregation understand why this is important. Observe Transgender Day of Visibility on March 31 and Transgender Day of Remembrance on Nov. 20—or on the Sunday nearest those dates. Gender-neutral restrooms in your church can send a strong message to trans* members and visitors that they are welcome and safe. These resources include sample policies and information that will help you interpret this issue to your congregation. Every ONA congregation should offer a well-informed and confident welcome to the transgender community. This curriculum published by the Institute for Welcoming Resources will help you reach that goal.